Growing global business confidence is the dominant theme underlying the 2018 EY Growth Barometer survey results. Middle-market company leaders are planning for higher revenues, creating more full-time jobs and racing to embrace disruptive technologies like AI. Industry convergence, regulation and a tilt to the East are all influencing business strategies for growth and innovation. While there are signs that these business leaders are planning for higher and more sustainable growth, any credit tightening or slowdown in global demand could pose significant risks in the longer term. Growth prospects for all major economies are finally swinging upward in 2018, with IMF (International Monetary Fund) forecasts currently at 3.9% for the year. Eurozone Europe (2.4%) and the US (2.9%) are on track to maintain an upward growth curve following 2017, while Asian countries (excluding India) are expected to grow by about 5%. China is heading for 6.6% growth in 2018, which is half a percent drop on 2017, while growth expectations for India are in the lead at 7.4%. 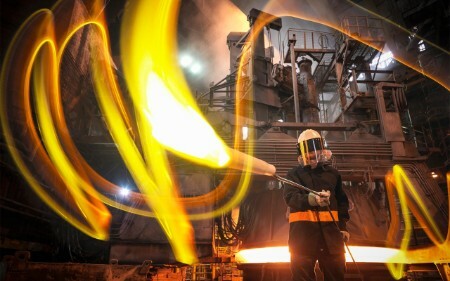 With a few exceptions – notably Brexit-mired UK (at 1.6% expected growth) and Japan, beset by demographic brakes on the economy (at 1.2% expected growth) – the IMF has signaled 2018 will see higher growth than in any year since the financial crisis. This rare synchronization of growth across the globe is boosting middle-market C-suite growth ambitions, led by Asia-Pacific based companies. Geopolitically, the much-forecast tilt from West to East has emerged from “potential” to reality: China, India and Russia are not just focused on the opportunities within their respective economies, but are increasingly dominant voices on the global stage. China has also declared its ambition to be the global leader in AI by 2030. Alibaba’s recent US$600m investment in the China-based facial recognition startup, SenseTime Group, makes it the world’s most valuable AI company, with a valuation in excess of US$4b. Data company eMarketer predicts e-commerce sales will top US$3t in 2018, with half of all e-commerce sales done in China. China is a pace-setter particularly in mobile shopping, partly aided by its high concentration of urban dwellers. And Australia is set to become the world's largest exporter of liquefied natural gas in 2018 (overtaking Qatar), riding the wave of increased demand from China. Our EY Growth Barometer respondents from across Asia-Pacific are at the forefront of grasping the growth opportunities from this tilt to the East, forging new markets with new business models. Regulation – the new hero of innovation? Our EY Growth Barometer survey results show that this year, in a major shift, regulation emerges as a key driver of innovation across middle-market companies. The old mantra that regulation stifles innovation seems outdated, at least for companies outside North America, where governments are wielding policy levers to drive creative change, not shut it down. For example, new European Union General Data Protection Legislation (GDPR), dubbed by The Economist as "the Dodd-Frank of data," is likely to have widespread implications not just for technology giants but also for all businesses that collect and hold customer data. As recent high-profile cases have illustrated, companies are unlikely to be able to rely on the terms and conditions most people are so quick to click "agree" to. These changes are already spawning new innovative services to help organizations achieve compliance. Government regulations on reducing carbon emissions from diesel engines have accelerated innovations in electric vehicles (EVs). The mayors of Paris, Madrid, Athens and Mexico City have agreed to outlaw diesel vehicles from city centers by 2025. China has also indicated that it will ban all but hybrid and electric cars, but has yet to set a timetable for that ban. Sales of EVs worldwide are on the increase: Nissan's Leaf has sold 300,000 and a new model launches in 2018. 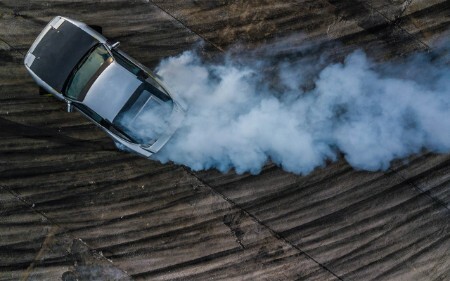 Startups are also competing with established brands: CHJ Automotive, for example, plans to tap into the lucrative Chinese market with a compact EV retailing at under US$8,000. While consumer behavior has helped drive the market for greener vehicles, so too has regulation. "Initiatives such as Japan's goal to double cashless payments to 40% by 2025 definitely support our business and provides us an easily justifiable raison d'être," says Yoshiki Yasui, founder and CEO of Japanese fintech startup, Origami Inc.
Last year 74% of global CEOs said they would never adopt robotic process automation (RPA): this year 73% say they are already adopting or planning to adopt intelligent automation and machine learning (AI) in the near term (two years). The burning platforms driving this exponential rate of change include ongoing digitization of everything, the leap-frogging effect of China and India – economies not shackled by legacy business models and infrastructure – and the global need for diverse talent with strong digital skills. Middle-market companies across the world are re-focusing their strategies to adjust to these seismic shifts and to restructure their organizations to better fit a new paradigm. This includes exploring how AI can be leveraged to increase organizational agility, speed up decision-making, and eliminate hierarchical models that no longer fit the needs of the fourth industrial revolution. As companies accelerate their growth plans, look to build talent and experiment with new technologies and business models, insufficient cash flow emerges as a significant risk this year. Some commentators are predicting a tightening of global financing conditions and rising interest rates, which would only exacerbate such risks. The race to embrace AI is, largely, insufficiently matched by awareness of and safeguarding against cyber threats. However, perhaps "the biggest challenge companies face is the sheer pace of change," as Simon Rogerson, CEO and Co-Founder of UK-based Octopus Capital, says. "The speed at which companies will die or grow has changed dramatically." The 2018 EY Growth Barometer reveals how middle-market company leaders are getting ahead of change and shaping their businesses to ride the wave of opportunity. It uncovers the key trends shaping the middle market – the global engine of economic growth and jobs – and shows how business leaders are investing, expanding and prioritizing in the heat of change. Global confidence has strengthened in the last 12 months. 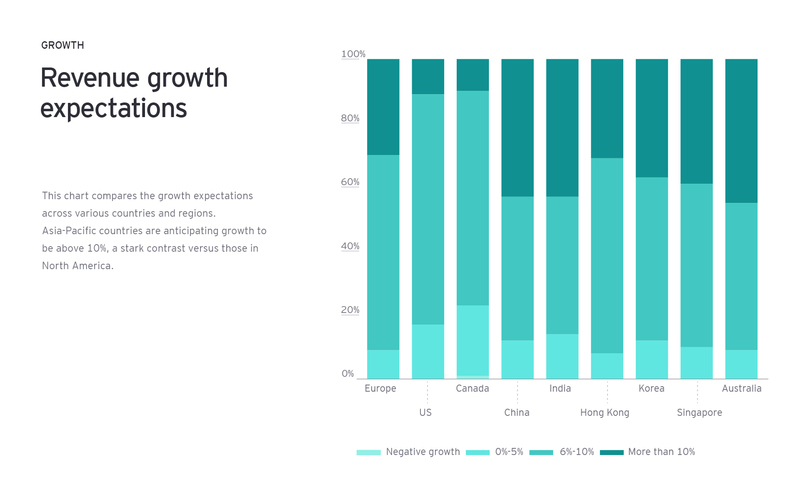 Global confidence has strengthened in the last 12 months, with nearly six out of ten respondents (60%) targeting high single digit growth (6%-10%). This represents a 26 percentage point increase on 2017. Furthermore, this year just six of over 2,700 respondents are looking at negative growth (compared to 5% last year). 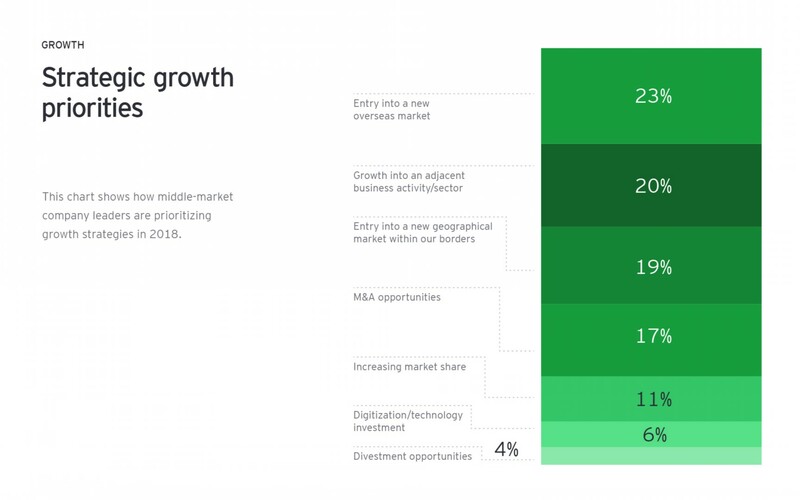 More than one in four companies (27%) plan double-digit growth (marginally down from 2017, when 30% of companies were in this high growth band). Of respondents in China, South East Asia and Australia, four in ten companies are targeting double-digit growth (13 percentage points more than the global average). "Continental Europe sees the strongest growth sentiment for a decade both domestically and export-led," says Andy Baldwin, EY Area Managing Partner for Europe, Middle East, India and Africa (EMEIA), "and we see this confidence reflected in foreign direct investment into the region. Moreover, Europe has moved beyond Brexit. It is now a localized UK issue, weighing on business confidence, but not impacting continental Europe." In 2017, foreign direct investment (FDI) projects in the UK declined by 6 percentage points over 2016, now overshadowed by Brexit, and leaving Germany in pole position. A surging France (up 31 percentage points) is now a much fiercer competitor. “In Europe, the historic growth of inward investment to the longstanding league champion, the UK, has stalled,” says Baldwin. More than one in four (27%) of this elite group of high-growth entrepreneurs – including some past winners of the EY Entrepreneur Of The Year™ program – are focused on entry into new overseas markets as their number one growth priority, compared to 23% of the broader cohort. Unlike the broader cohort, these high-growth entrepreneurs see digitization as the disruptive force having the biggest impact on their business. Thirty-two percent rank it first compared to just 13% of other C-suite leaders, who instead rank demographic shifts as the top megatrend disrupting business (at 34%). 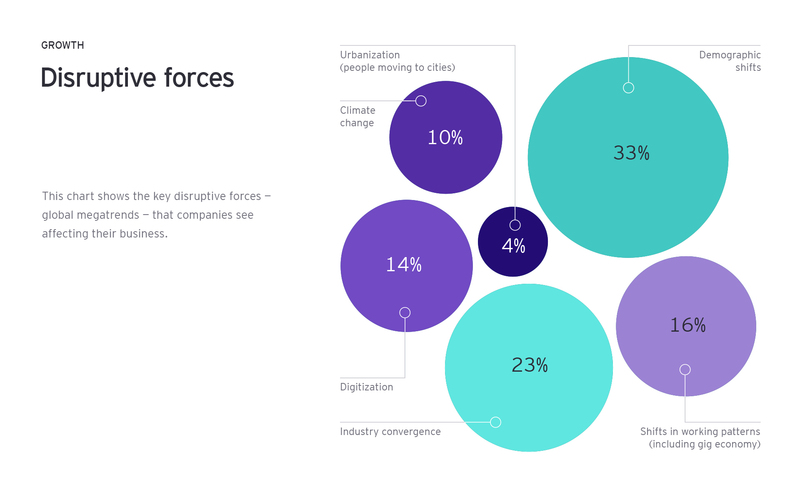 Nevertheless, for all respondents taken together, the majority (57%) see digitization and industry convergence as megatrends having the biggest disruptive impacts on their business this year. 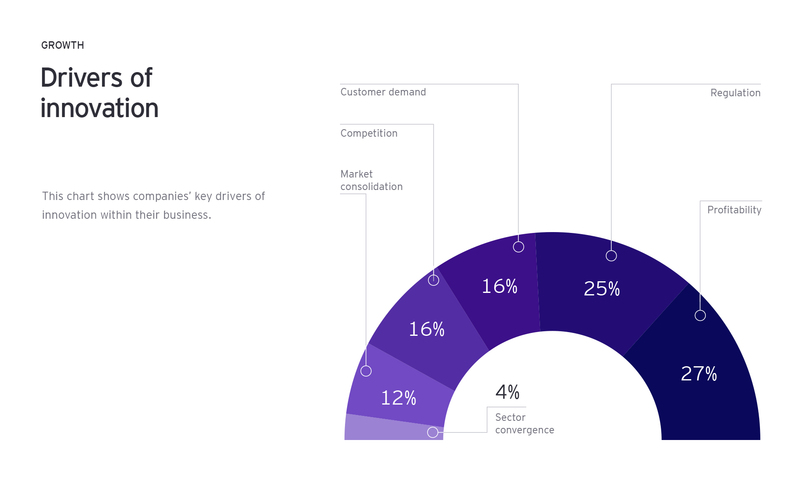 These high-growth entrepreneurs are also more directly driven by the customer, with over a third (34%) citing customer demand as the key driver of innovation, ahead of competition (21%) and improving profitability (20%). In contrast, only 15% of the broader cohort cite customer demand as the key driver of their innovation efforts, behind improving profitability (28%) and responding to regulation (25%). 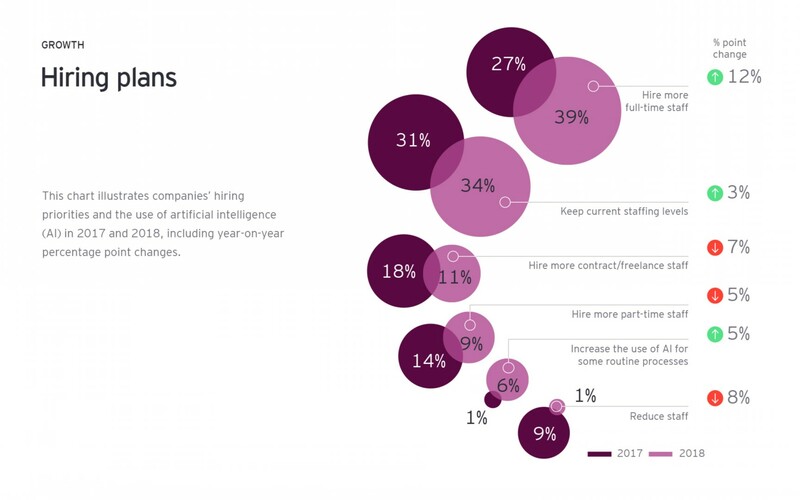 Over half (53%) of high-growth entrepreneurs are planning to hire more full-time staff this year, reflecting their more ambitious growth plans and a general focus on talent to realize those ambitions. This compares with 38% of other C-suite who are planning to hire more full-time staff. More than one in five (22%) of high-growth entrepreneurs have adopted AI already, compared to 5% of other companies, and they are also more likely than their peers to increase agility by building alliances with external partners (23% compared to 21%). As business leaders heading up companies growing at exceptional rates, they are already spending more time on future strategy than their peers. Nearly half of the high-growth entrepreneurs (48%) believe they should be spending at least half their time on the future, compared to just 16% of other C-suite. The dominant growth strategy for company leaders globally is entry into a new overseas market, with nearly one in four (23%) citing it as a priority. Except for companies born into uniquely large and self-reliant countries such as the US, China and India, most middle-market leaders see the need to expand their geographic footprint beyond home borders if they are to become market leaders in their space. With almost one in three (29%) of respondents having more than 20% of existing revenues derived from overseas markets, slow global growth is unsurprisingly the top-ranked external risk to growth (cited by one in four leaders). "Ten million users spread around 190 countries can sound like a lot, but it's only 0.3% of the internet-using population. We've only done 1% of what we know is possible," says Cliff Obrecht, Co-founder and COO of the online graphic design platform, Canva, based in Australia. Web-based startups can reach global markets more quickly and cheaply than ever before, but so can their competitors. The availability via social media of objective peer reviews of a company’s offerings allows purchasers to conduct quick and cheap research. This levels the playing-field as big sales and marketing budgets hold less sway in buyer persuasion. In some instances companies are reversing traditional growth patterns in which you start with a proof of concept locally before venturing further afield. Take premium tea-seller and Indian start-up, Teabox. We have found demand from emerging countries, and particularly India, which has in fact become our fastest growing market. "In the early years our growth was predominantly online – we were only selling through teabox.com. Since then we have been exploring other sales channels as well as Amazon, for example, which contributes a good proportion of our revenues," says Kausshal Dugarr, founder and CEO. "Early on we were focused on selling to markets such as US, Russia, Australia and the UK, but over time we have found demand from emerging countries, and particularly India, which has in fact become our fastest growing market." 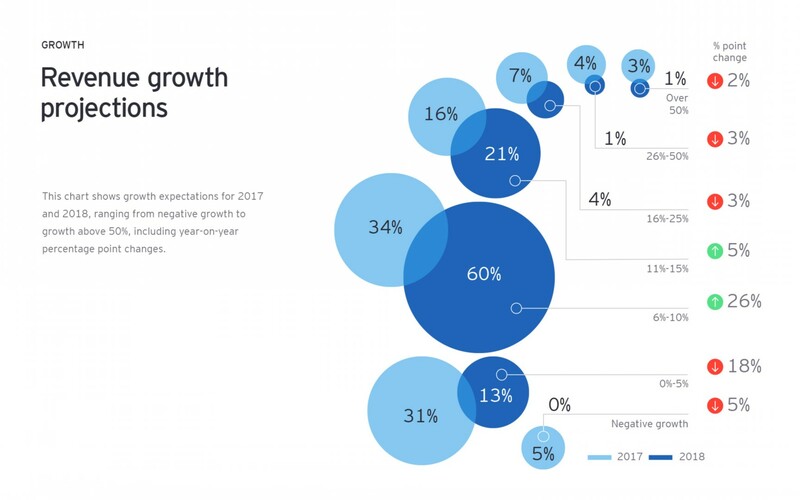 Reflecting growth optimism, middle-market leaders are most likely to use revenues as a key performance indicator, in a shift from 2017 when profitability was the dominant success factor. AI has moved center-stage as a vital growth enabler and efficiency tool. AI has moved center-stage as a vital growth enabler and efficiency tool. 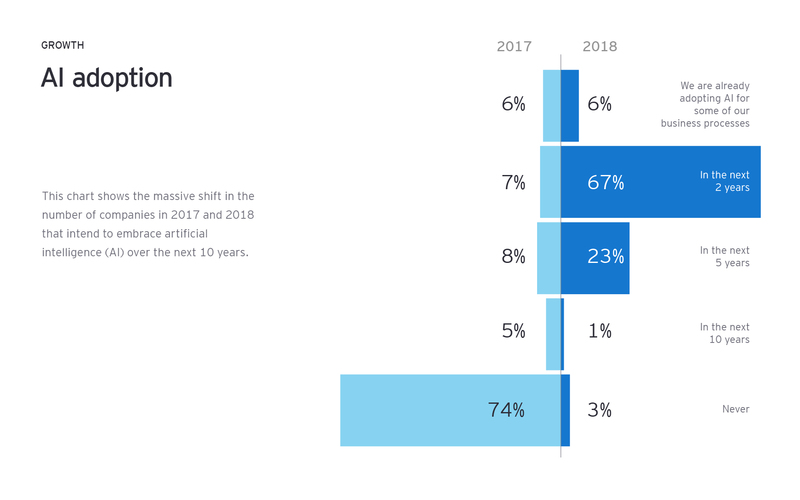 Three quarters (73%) of all respondents are either already adopting AI or plan to adopt in the near term (two years). This is a significant pendulum swing from last year when almost the same percentage of respondents (74%) said they would never adopt RPA. Cognitive systems are transforming almost every area of business processes from routine back-office to the customer experience. "The human brain will increasingly be AI; human arms will be robotics and the sensory system will be artificial, networked sensors," says Dr Shi Yu, founder and chairman of Nanofilm, the Singapore-based global leader in vacuum coating systems. "At Nanofilm, we already have partially-automated assembly and picking, but we see AI as transformative for many business processes." Companies are at different stages of AI adoption, but none doubts its critical role in the future. Reflected in this year's EY Growth Barometer results is a new urgency to embrace AI and the business transformation that implies. Middle-market C-suite’s top strategy for driving innovation is leveraging customer data, cited by almost one in three leaders (29%). This represents a 12 percentage point rise compared to 2017. Technology investment has two dominant aims: to improve the customer experience and to improve process efficiencies (each ranked by over one in four – 26% – respondents as the key focus of their technology spend). In spite of scaremongering headlines about robots stealing jobs, just 1% of this global cohort of middle-market leaders is investing in technology to reduce headcount. "We are already preparing for the digitally connected world of the future," says Natalie Mekelburger, CEO of automotive parts-maker Coroplast, and the 2017 EY Entrepreneur Of The Year™ for Germany. "Some development projects already employ artificial intelligence, especially in error recognition – but so far these are early stage projects. For sure this will be centre stage of our engineering very soon both in our production processes as well as in product development." However for all the opportunity for growth AI offers, company leaders are at risk of under-estimating the potential impact on their business of cyber threats. Just 7% of respondents are investing in technology to reduce risk, and only 6% see cyber threats as a challenge to growth. As Paul van Kessel, EY Global Advisory Cybersecurity Leader, writes in a major survey of CIOs, the "explosion of connectivity fuelled by the growth of the Internet of Things (IoT) and the ever-larger digital footprint of many organizations have all introduced new vulnerabilities for attackers to exploit." 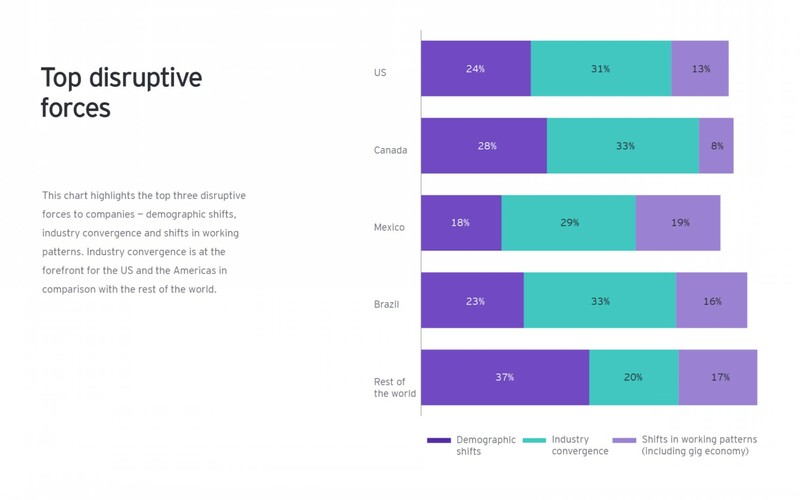 While demographic shifts continue to be the dominant megatrend impacting business in this year's survey, industry convergence is a significant second, ranked by almost one in four (23%) respondents. Convergence is having the greatest impact in developed markets. "The US, which has led technology innovation for decades, is at the forefront," says David Jolley, Area Growth Markets Leader for EYAmericas. "This is impacting the US's neighbors in Canada, Mexico and Brazil, as we can see in the survey results." Agile responses to convergence favor the fast. Netherlands-based TomTom, a leader in providing satellite navigation for cars, might have suffered as manufacturers increasingly supplied new models already fitted with the technology. Most of our growth is coming from our business-to-business activities, which include providing technologies to software developers. But, explains Harold Goddijn, CEO and Co-founder, "most of our growth is coming from our business-to-business activities, which include providing technologies to software developers and technology companies such as Apple, Microsoft and Uber, as well as our fleet management business and providing products and applications direct to the automotive industry." The company adjusted to rapid disruption by pivoting from supplying satellite navigation units to consumers through retail outfits to a B2B model, serving a large range of different industry sectors – from technology to aerospace. We can see routine jobs being in some sense displaced by intelligent machines. And yet, middle-market CEOs are on a hiring spree. Are accelerating rates of digitization inevitably leading to discarded jobs and deteriorated wages? The US Bureau of Labor Statistics projects 1.4 million jobs will be disrupted between now and 2026, 57% of them currently filled by women. We can see routine jobs in call centers, back office, distribution and production lines all being in some sense displaced by intelligent machines. And yet, middle-market CEOs are on a hiring spree. Over a third (39%) of respondents are increasing their workforce with full time hires (up 12 percentage points from 2017). Only 1% are looking to reduce staff (down from 9% last year). Family-owned businesses are even more strongly focused on talent to accelerate growth. Almost half (49%) of all family business leaders are looking to hire more full-time staff, 16 percentage points up on 2017. Diversity has shot up the middle-market recruitment agenda – 41% cite it as their biggest priority compared to 11% in 2017. Given the many studies proving diversity as a key contributor to team efficiency, success and decision-making, it is good to see middle-market leaders embrace the proven gains of more diverse teams. Only 23% of the executive leadership of all respondent companies is female and just 4% have a woman as CEO. It is therefore good to see a close correlation between respondents whose leadership teams lack gender diversity and those who prioritize diversity as a recruitment priority. It looks as if 2018, already dubbed the year of the woman, may finally be the year when all-male executive teams are consigned to history. Family-owned businesses seem to offer environments that are somewhat more conducive to successful female leadership compared to their non-family business counterparts. Nine percent of family-businesses are helmed by a woman and 24% of executive leadership is female. They acknowledge they have more to do, though, and still put diversity at the top of the recruitment agenda (40%). 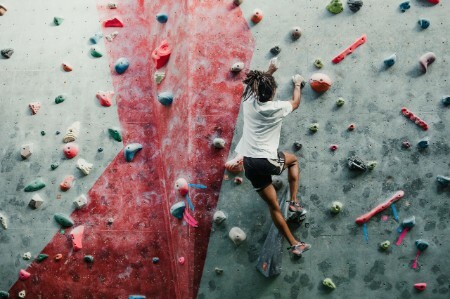 New challenges are creating a need for a different kind of employee, "people with creativity, good at problem-solving, people who love disrupting and challenging the status quo," says Simon Rogerson, CEO and Co-Founder of UK-based Octopus Capital. "We need all kinds of diversity, but particularly diversity of thought." Middle-market leaders see talent with the right skills as the key enabler of accelerating growth. Almost one in three (30%) choose it as the key growth accelerator, over improved operations efficiency (26%) and new technology (18%). Specialist skills, particularly in technology, are still in high demand. In fact, IT, data analysis, and social media together comprise 56% of specialist recruitment needs, ahead of finance (20%). "As a technology startup, we need skilled engineers," says Chika Terada, founder and CEO of Sansan, a Japanese business platform that digitizes business cards. "While demographics and an ageing population are often spoken of as a barrier to growth for Japanese companies, a bigger challenge is the number and the quality of graduates with relevant software programming and engineering degrees." While across the globe, just one in ten leaders rank investment in education as the government action they would most like to see to boost growth, that percentage rises in areas of the world where talent shortages have been exacerbated by skills flight, such as Brazil, Mexico and the UK. In the US, for example, lack of skilled talent beats insufficient cash flow as the number one challenge (selected by one in four respondents). This represents an 8 percentage point increase on 2017. Here education is the third most popular government action (selected by 16% of US company leaders) after lower corporate taxation and deregulation. Sometimes if you cannot find the specific skills or talent in the areas you need, you have to create it. For many companies, retraining the existing workforce is an effective strategy for creating the skills they need. Family-owned Italian luxury menswear brand, Stefano Ricci, found itself held back by a dearth of Florentine tailors. "So from having three or four," explains Niccolò Ricci, CEO, "we now have 35 because we created an internal tailor school. Sometimes if you cannot find the specific skills or talent in the areas you need, you have to create it." Companies are also evolving their organizational structure and culture to meet new demands from changing business models, the changing demands of a new generation of adults entering the workforce and changing consumer behavior. Respondents called out attracting younger, digitally-native talent (36%) and empowering the existing workforce (27%) as the top two ways to improve organizational culture. "We recognize the need to bring in more people, and younger people, from other industries because it helps in cross-fertilization of ideas," says H.C.Ho, CFO of Hang Lung Properties, a leading commercial and residential developer in Hong Kong. "The shopping malls of the future will be very different to the past, and we need people who can help us in that change." Company leaders are not just in need of young talent. Over four in ten (41%) say a deeper pool of managers would allow them to spend the time they feel they should on strategy, freeing them from an over-focus on running current operations. What is driving innovation globally? In a clear shift from last year, regulation emerges as a new force in stimulating innovation (only two percentage points below profitability) for one in four middle market executives globally: a 10 percentage point rise from 2017. Craig Wilson, managing director of Williams Advanced Engineering, part of the Formula 1 advanced technology group, says, "Government support is useful. Regulation to move to carbon neutral energy sources and transportation has worked in our favour. They play to our strengths in advanced engineering and problem solving." While nearly one in three (29%) company leaders are levering customer data to deliver innovation (up from 17% last year), no region of the world is as customer-focused as the US. Here customer demand is the leading driver of innovation, cited by more than one in four (28%) business leaders, while regulation hardly features (just 12% of responses). More than one in three (34%) US company leaders are clearly focused on technology investment to improve the customer experience. As the pace of change ramps up, company agility becomes more critical to survival and growth. Globally, CEOs rate rapid decision-making as the number one factor in improving agility (27% of responses), but in the US this is followed by better customer understanding, ranked by 17% of leaders, equal with building strong external alliances. You mustn't lose faith and capability to innovate. We have to be able to fail and keep taking risks. "You mustn't lose faith and capability to innovate," says Octave Klaba, CEO and Founder of French tech unicorn, OVH, European leader in providing cloud solutions to middle-market companies. "We have to be able to fail and keep taking risks. That is core to our DNA." Innovation is less and less forged in internal R&D departments, as we see company leaders bring the outside in through external alliances, acquisitions and smart analysis of customer data. "We engage with a significant number of fintech companies," says Craig Donaldson, CEO of the UK's Metro Bank. "The days of banks owning all their own technology are gone. It is all about collaboration and partnerships now." Insufficient cash flow doubles as the key challenge to growth globally. Access to capital is, perhaps predictably, a low-rated challenge (3% of leaders cite it) but that doesn't spell an end to cash concerns. While access to credit is largely not proving to be an issue for company leaders, working capital is another matter. Insufficient cash flow doubles as the key challenge to growth globally, with more than one in three (35%) CEOs highlighting it, compared to 15% in 2017. It beats technology disruption and lack of skilled talent as the greatest challenge facing the C-suite although not equally across all regions. In the US, fewer than one in five (18%) business leaders struggle with insufficient cash flow, just 3 percentage points more than 2017, but the country also has fewer companies growing at double digit rates. There is a correlation between companies in higher growth bands and those that rank insufficient cash flow as a key risk to growth. In Europe, by contrast, 37% of business leaders say it is their prime challenge, a colossal 22 percentage points more than in 2017. In France, half of all respondents cite insufficient cash flow as putting a brake on growth. Some sectors are particularly impacted. Two out of five (39%-41%) middle-market leaders in financial services, life sciences and healthcare, media and entertainment and real estate place cash flow at the top of their challenge list. These are sectors where convergence and other disruptions to the value chain are changing the patterns of supply and demand and the cyclical movements of cash into and out of the business. Access to capital is a challenge for one segment of business leaders, however, and that's women-led companies where 18% cite it as a barrier to growth. In spite of this, women-led companies are growing at faster rates than male-led peers. One in five women-led businesses have no plans for raising capital compared to just 3% of male-led firms. It would seem that women’s past experiences in attempting to raise capital have been so negative that they now no longer even plan to raise capital to fund growth. How much more could they be growing were they to attract fuel to their already outperforming flames? High-growth companies (those expecting to grow at over 15% this year) are less likely than others to rely on bank finance for funding (22% versus 39% of other respondents), while over one four (26%) are either venture capital or private equity financed. As globally IPO activity increases, a majority of companies in this year's EY Growth Barometer survey are considering an IPO as a way to fund future growth; three in four companies in Asia-Pacific and over half the companies in EMEIA. The Americas is an outlier, supported as it is by a strong private funding ecosystem. Only one in ten companies in the Americas is looking to IPO. Winners will be those that have the agility to embrace the unknown. This year’s EY Growth Barometer provides some revealing images from the fast forward blur of accelerating change. 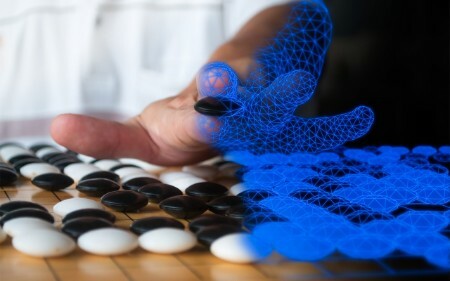 We see companies racing to embrace AI and machine learning to drive process efficiencies and better customer understanding; transforming their organizational culture to attract young, digital talent as the global competition for talent intensifies; and creating new business models as sectors converge in fast-emerging ecosystems of integrated players. They reflect strong business confidence as the world emerges from a decade of sluggish and stuttering growth, led by growth in the East. The middle market, including fast-scaling, entrepreneurial challenger companies, is at the heart of this age of transformation. We see future leaders in the middle market managing their current operations while also creating the new business of tomorrow. This future age is arriving faster and less predictably than at any time in human history. The winners will be those who have the agility to embrace the unknown. As digitization and sector convergence transform the business landscape at an accelerating pace, middle-market leaders focus on agility and speed to meet ambitious growth targets. Pressure on cash flow and a lack of skilled talent are challenges.